Take panoramic photographs with your telephone with great quality thanks to Pano. Pano adds a simple interface to your phone thanks to which you will be able to take panoramic view photographs of up to 360º. Learn to use it as a manageable semitransparent user guide that will assist you when it comes to taking each and everyone of the shots to make sure that they are perfect. 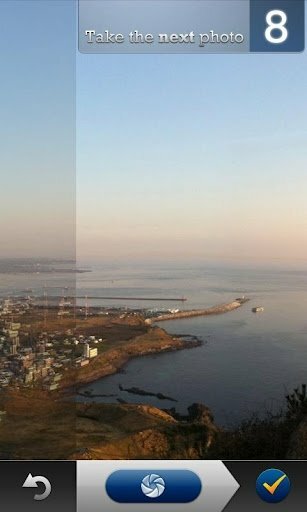 Thanks to its advanced alignment, mixing and color correction algorithms, it is capable of providing perfect images of great sharpness in a matter of seconds. 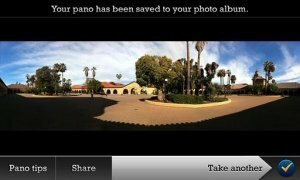 Among its functions Pano automatically stores the panoramic images that you take on your telephone. 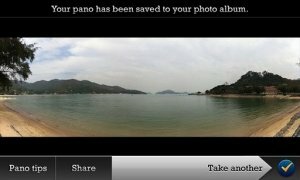 What's more, in case of being interrupted half way through the process of taking the images, it can be renews as soon as possible. 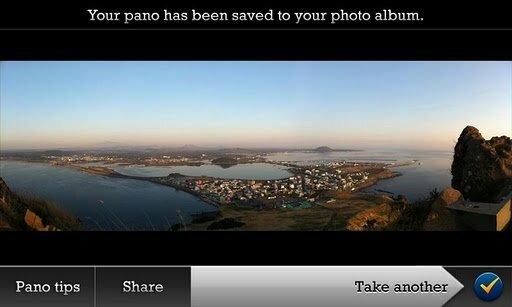 Download Pano and enjoy a simple application to take panoramic photographs.